1915 House is blog about the three D's: Design, DIY and Deliciousness. Written by Sarah, 1915 House shows a beautiful budget home is possible, even when time and space are constrained by the chaos of toddlers and teens. 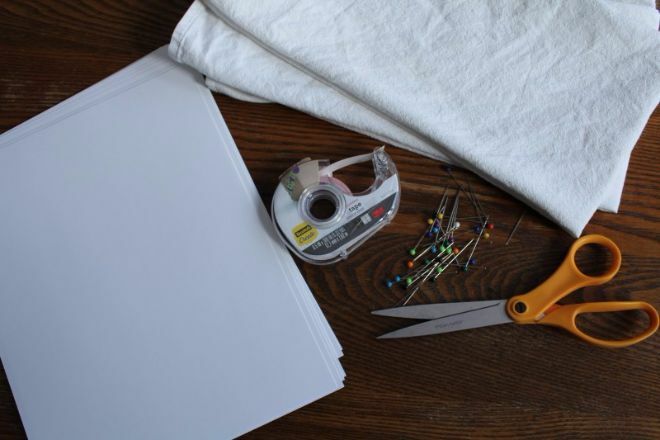 Sarah's blog is not about large scale renovations and complicated processes, but rather simple projects and subtle home updates that anyone can accomplish on any day. 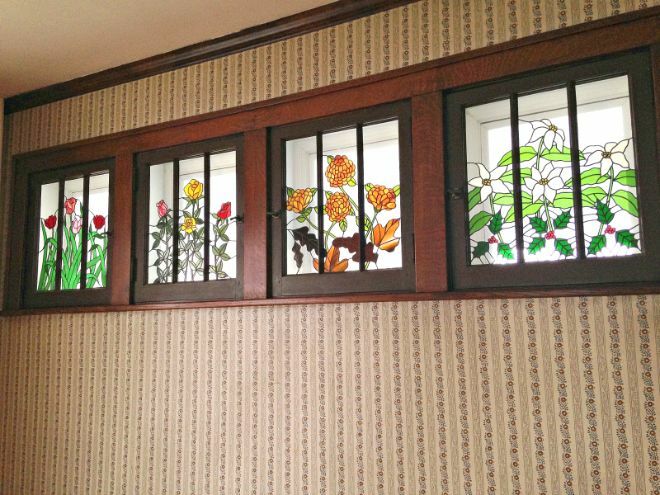 Sarah was not a fan of the stained glass windows that came with her dining room, yet considered them a historic part of the home and therefore didn't want to remove them. She thought of a creative solution using flour sack towels that would conceal the windows without getting rid of the stained glass entirely. "While far from 'perfect,' they provided just what I needed, and they provided it on a dime," wrote Sarah. Sarah used flour sack towels, double sided removable tape, scissors, straight pins, card stock paper, and small tension rods. She began by taping the card stock to the frames of the windows. 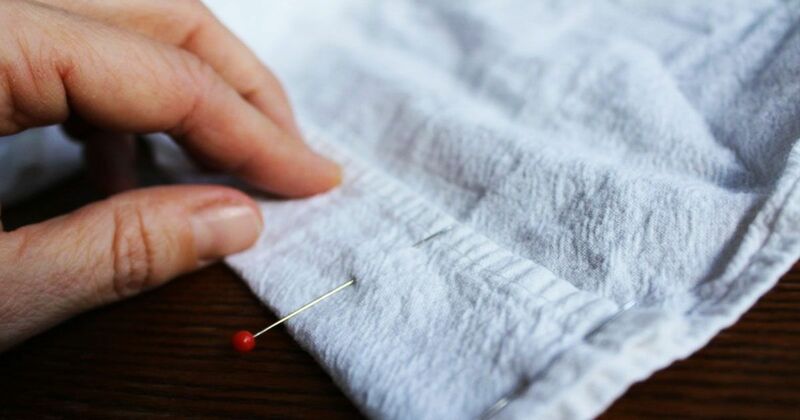 She then pinned and sewed a simple rod pocket and ran a tension rod through the towels. The end result was charming and fully concealed the stained glass windows, making them appear as if they were never there. For complete directions, visit 1915 House. 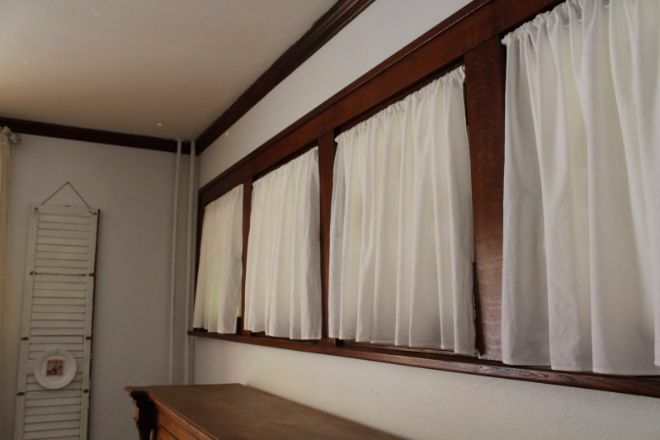 Sarah could have chosen any number of window treatments to conceal her stained glass windows. Instead of making curtains out of dish cloth, she could have created bamboo blinds or burlap shades. 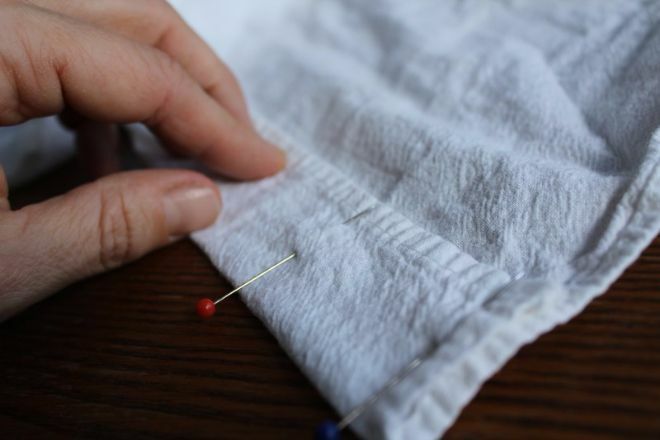 Young House Love has a suggestion for a 15 minute fabric window shade that gives DIYers the chance to choose their favorite fabrics, mixing and matching if they choose. If you're as happy with your new window treatments as Sarah is with hers, SHARE this article!